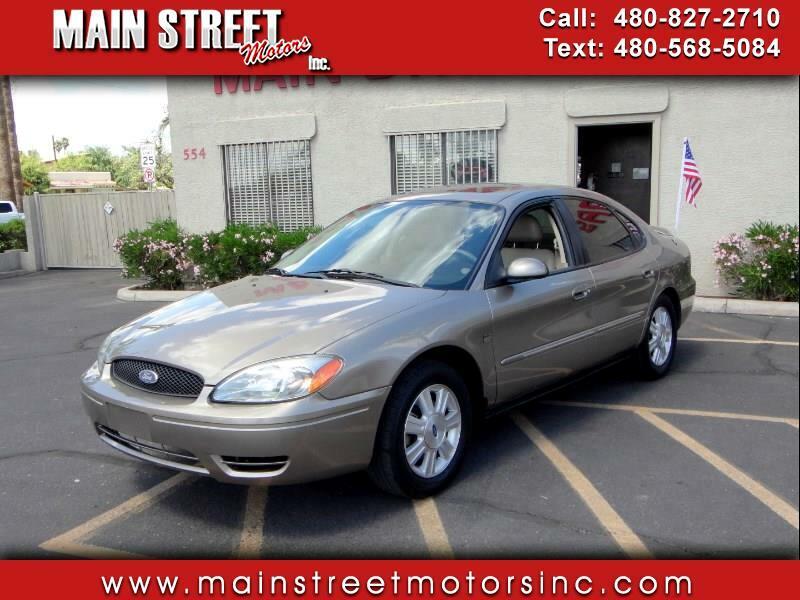 Buy Here Pay Here 2004 Ford Taurus SEL for Sale in Mesa AZ 85201 Main Street Motors Inc. This extra low mileage, one owner Ford Taurus is super clean inside and out. It is a local Mesa car with no accidents or issues on the Carfax report. It is fully loaded with all the power features including power adjustable pedals, power driver and passenger front seats, and power sun roof. Other features include automatic climate control air conditioning, center console, alloy wheels, anti-lock brakes, tinted windows, and rear spoiler. If you are looking for a low mileage, super clean car, stop in and see this one owner Taurus. You promise to pay us the principal amount of $4,995.00, plus a time price differential accruing on the unpaid balance at the rate of 19.90 % per year from today's date until maturity. The time price differential accrues on a 365 day basis. After maturity, or after you default and we demand payment, we will earn finance charges on the unpaid balance at 19.90 % per year. You agree to pay this Contract according to the payment schedule and late charge provisions shown in the TRUTH IN LENDING DISCLOSURES. You also agree to pay any additional amounts according to the terms and conditions of this Contract.